The exhibition The Birth of a Tradition. 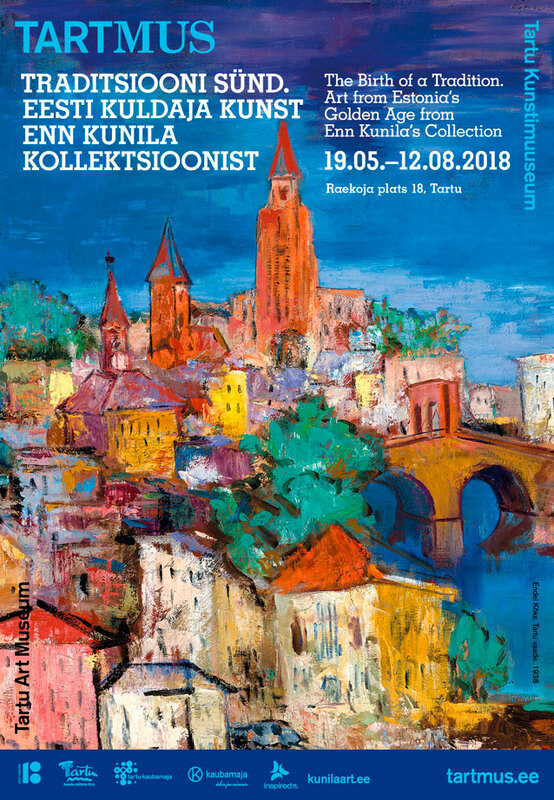 The Golden Age of Estonian Art from Enn Kunila’s Collection has been open since 19 May at the Tartu Art Museum. The exhibition presents classic Estonian art from the 20th century to the public and at the same time constitutes one possible view of Estonian paintings from the first half of the 20th century, bringing into focus Tartu’s meaning as the centre of developments at that time. Sixty works of art by well-known Estonian artists are displayed at this exhibition held at the Tartu Art Museum. A great deal of attention has been paid to Konrad Mägi. Altogether 16 of his paintings are at this exhibition. Alongside him, Ants Laikmaa, Nikolai Triik, Ado Vabbe, Eerik Haamer, Endel Kõks, Amandus Adamson, Anton Starkopf and many others are represented. The exhibition’s curator is the art historian Eero Epner, the designer of the exhibition is Tõnis Saadoja, and the author of the exhibition’s graphic materials is the designer Tiit Jürna. The exhibition is accompanied by a comprehensive catalogue containing texts on all of the artworks on display at the exhibition. Visitors can also enhance their experience of the exhibition by using the audio guides. An art room for children is on the 3rd storey of the Tartu Art Museum. Here the artist Jaan Rõõmus has drawn playful pictures of Konrad Mägi, Ants Laikmaa, Nikolai Triik and many other artists on the walls. Children can colour pictures, put together art puzzles or they can go adventuring about the exhibition using activity maps. This exhibition is open at the Tartu Art Museum until 12 August.